This aerial photograph illustrates the major trench lines around an unknown sector on Vimy Ridge. 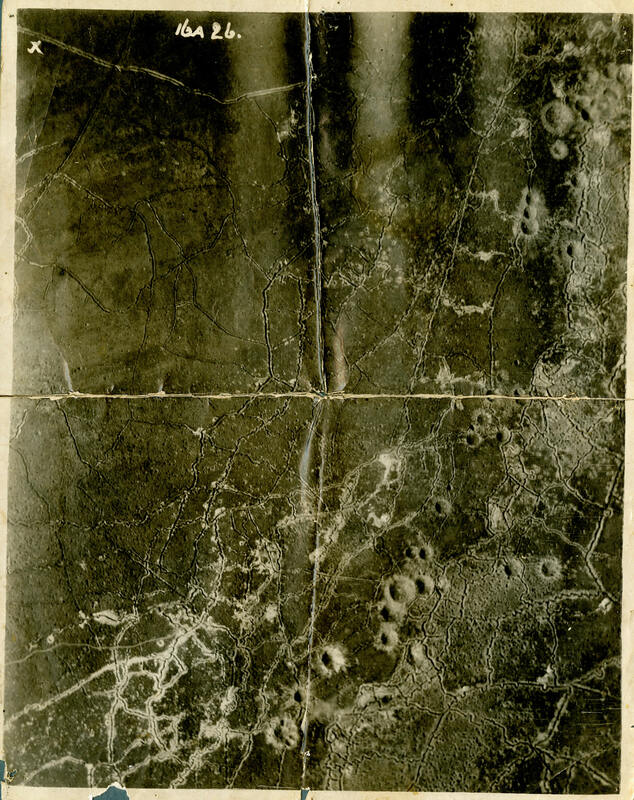 The large craters, some ten to 15 metres deep, were made from mine explosions set off by Canadian engineers prior to and during the assault of 9 April 1917. Mines could create great confusion and blow huge gaps in an enemy's defences, but they were also significant obstacles for advancing troops.